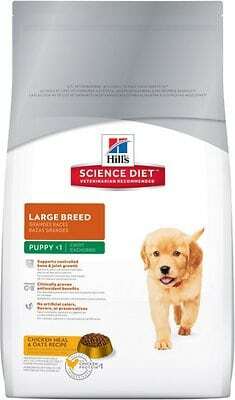 Note: This article discusses the best Labrador puppy food. Please click here to see our recommended food for ADULT Labradors. If you’re in a hurry, check out our top pick, Wellness Core Natural Grain Free Dry Dog Food. As a dog lover, you want to give your pooch the best of everything and that includes the best food. But with so many brands on the market today, it's hard to determine which ones outshine the rest. 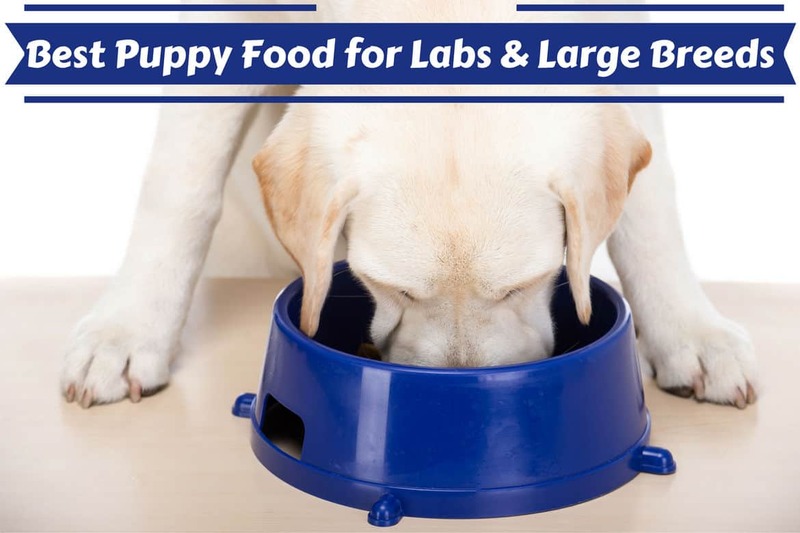 There are many factors you must keep in mind when choosing puppy food for your Lab, the most important of which we're going to discuss in this article. 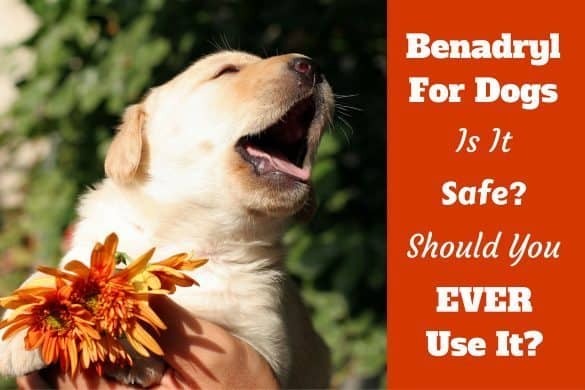 We'll also provide a review of five popular brands to aid you with your decision, 4 that we recommend as the best puppy food for labs, and one very popular brand you may be surprised to hear is probably best avoided. Why Choose Specific Food For Labrador Puppies Or Large Breeds? Why are There Different Puppy and Adult Dog Foods? It should be obvious that a Chihuahua and your Lab have very different nutrition and health requirements due to the huge difference in the eventual size and structure of their adult bodies. This is why you find 'breed specific' foods available. 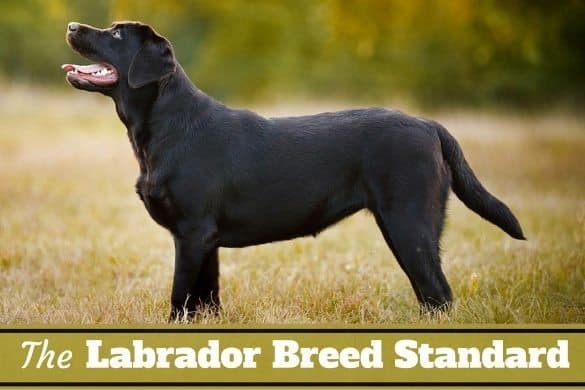 Large breeds grow faster and have far more growth to go through than smaller breeds, with a Labrador going from under a pound at birth to perhaps 75 pounds as an adult. This means their bones and joints change quickly and dramatically as they grow from a puppy to adult, increasing in over 75 times their initial weight. This is one reason large breed puppies are more sensitive to nutritional imbalances, perhaps the most important of which is avoiding an excess of calcium. Too much calcium in a Labrador puppy's diet increases the risk of musculo-skeletal deformities, particularly hip and elbow dysplasia, because their bones grow so quickly and with excess calcium are prone to forming incorrectly. However, lacking calcium can also result in problems, so Labrador puppy food contains a safe amount for a puppy to grow correctly without having unsafe excess amounts. But not only this, excess calories can result in a puppy becoming overweight and in a growing puppy, excess weight puts undue stress on their growing, forming bones. To combat this, Labrador specific puppy food is somewhat restricted in calories and fats compared to smaller breed puppy food. Whether your dog needs puppy food or not varies by breed and age since not every dog matures the same. As previously discussed, smaller breeds typically peak earlier than larger dogs do. A lab tends to reach adult size between the age of 12 to 18 months. At this point, you should switch from puppy food to adult food, even though your pooch might continue to fill out until the age of two years. The extra calories, vitamins and minerals in puppy chow may cause more growth than you want, meaning it can easily lead to your furry friend becoming overweight or even obese if you feed it to them into adulthood. Not to mention, continuing to use puppy food in adult labs may lead to musculo-skeletal disorders. But the flip side of this is adult food is less nutrient dense, has a different mix and quantity of nutrients and if fed to a puppy could lead to malnourishment and sub-optimal growth. An additional reason for there being specific food for puppies is the pieces are smaller which not only prevents them from choking, it also makes the food easier to digest. The pieces are richer, denser and the ideal size for smaller mouths. So puppies thrive best on puppy food, adult dogs on adult dog food and it’s strongly recommended to buy food aimed at the life stage of your dog. If you have any questions or doubts as to when you should switch from puppy to adult dog food, it's best to consult a veterinarian. It might be tempting to save a few bucks by purchasing food with a slightly lower price tag. 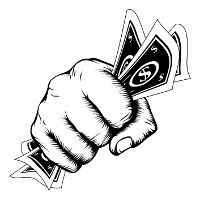 After all, we're all feeling the pinch in our wallets these days. However, to show the love you really feel for your Lab, you mustn't (potentially) sacrifice their health just to save a few dollars. The cheaper dog foods don't have the high-quality ingredients that the medium and high-priced brands do. These ingredients are where your pup gets the nutrients they need to grow and live, nutrients that are sadly lacking in the cheaper dog foods. You've probably heard the saying, “You are what you eat.” So if man's best friend is eating low-quality food, you're basically saying they're not worth the extra money to feed them properly. With foods that are a bit more expensive, your pooch can eat a more well-balanced meal and enjoy it. Isn't your pup's health and happiness worth more than a few bucks? Not only this but 'what goes in, must come out.’ Cheap foods have low quality fillers meaning your puppy will need bigger portions to get the same nutrients. They eat more, they poop more, and this means house training becomes much harder for you. What you feed your puppy is a major factor in the success of your house training process. 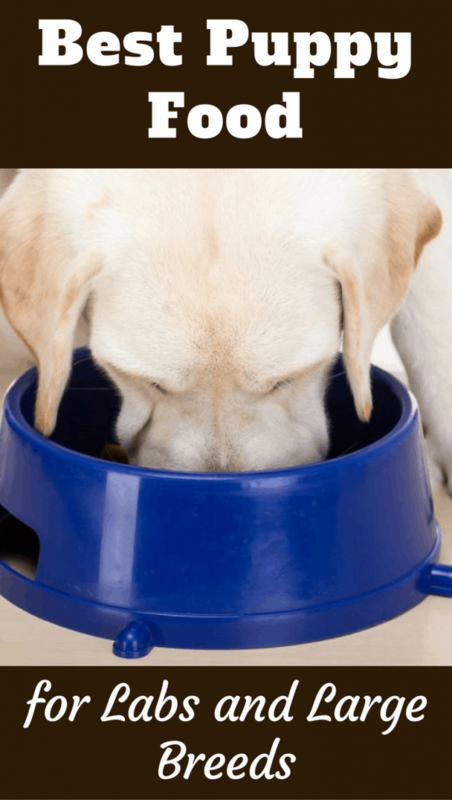 In addition to the different brands and choosing between puppy and dog food, there's also the question as to whether your dog should eat wet food or dry kibble? Here at LTHQ, we're strong advocates for feeding kibble as opposed to wet food in a can. Firstly, dry food tends to be more complete and balanced with the correct amount of vital nutrients in it. The ingredients tend to be of better quality as long as you pick the right brand. Plus, dry food helps to keep teeth strong due to being a solid food, and the slightly abrasive nature of the solid food has a natural teeth cleaning effect. Kibble will also benefit you as the owner since it's much easier to store and serve than wet food and you can put it in a bucket with a lid and not have to worry about it taking up a ton of space. It also lasts far longer than cans as you need to feed less of it. And truthfully, one of the biggest benefits to an owner is it's more cost efficient than canned food, too. In this next section we give you 4 of the best foods on the market made from high quality ingredients but still available at a reasonable price. These foods will provide your puppy with all the nutrients they need in just the right mix and quantities, not just so they survive, but so they can truly thrive. This particular food has a high quality protein content of 38%, with the first three ingredients being deboned chicken, chicken meal and turkey meal. Deboned chicken is high quality chicken protein, whereas the chicken and turkey meal is a concentrate. It contains approximately 300 percent more protein than standard chicken meat weight-for-weight because once cooked, chicken loses up to 80% of it's water content whereas the meal doesn’t. It is nutrient rich with vitamin D, vitamin B12, vitamin E, vitamin C and vitamin A as well as containing minerals like zinc, iron and calcium. It's loaded with vegetables such as potatoes, spinach, carrots and broccoli. It even has some fruit content like apples and blueberries. The Lactobacillus acidophilus, green tea extract and rosemary extract are all known to help prevent infections. This is a very high-quality food your puppy will truly thrive on and is our top recommendation as the best puppy food for labs. I like to describe K9 as a 'super premium' brand... and it comes with a price tag to match! If it wasn't for the cost, it would be number one on our list, but we think taking price into account that Wellness just beats it on value. However, if price is no object, K9 is certainly one of the best foods available! 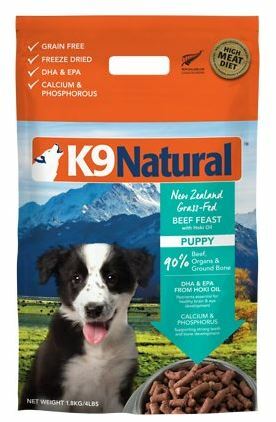 K9 Natural Grain-Free Puppy Freeze-Dried Dog Food gives your puppy all the benefits of raw food, aiming for optimum levels of growth and development — not too fast nor stunted — and for lean muscle mass and peak conditioning. Its main ingredient is grass-fed New Zealand beef. And this is rounded out by whole food ingredients like flaxseed, kelp, New Zealand mussel, fruits and veggies, and hoki oil which provides DHA for EPA for healthy brain and eye development. It's also grain free, something that a lot of owners look for when deciding on a food for their pups. ​We strongly recommend this brand, it has 5 star reviews all over the web and extremely good feedback from very happy customers. It gets a big thumbs up from us. Taste of the Wild is high in protein. The first ingredient is bison and is a high quality meat product. The next ingredient is lamb meal, which has a large amount of protein in it being a meat concentrate, 300 percent more than fresh lamb meat. The third highest ingredient is sweet potatoes, which are an excellent source of complex carbs. They contain fiber and beta carotene. In fact, this food consists of approx. 40 percent carbohydrates. This provides your puppy with a source of energy ideal for his busy puppy lifestyle. This food also contains salmon oil, which is known to contain a great deal of the two omega-3 fatty acids, EPA and DHA, and the inclusion of chicory root provides inulin, a prebiotic that promotes health bacteria in your puppy’s digestive system, promoting health and good digestive health. Overall, this food is highly recommended and your puppy should thrive on it. Eukanuba take their food production seriously having scientifically developed different foods to suit different breeds and stages in life - There's no 'one-size-fits-all', there are specifics. They also allow regular independent inspections of their manufacturing process and source ingredients the US, EU and NZ. So quality control is well taken care of. The large breed puppy formula contains a scientifically formulated balance of proteins, fats, phosphorous and calcium in just the right amounts and proportions to promote a healthy rate of bone and muscle development, highly important for large breed puppies where excessive nutrients can be just as harmful as malnutrition. 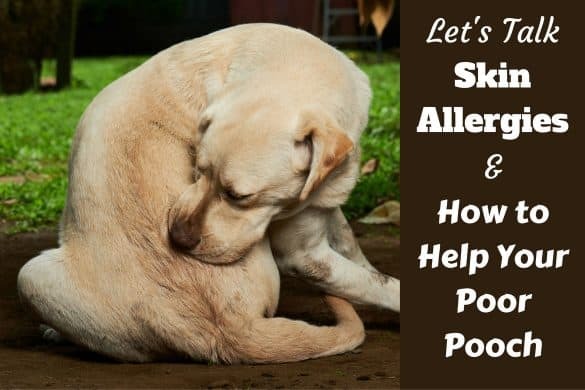 The food also contains glucosamine and chondroitin for the health of connective soft tissues which is reassuring for large breeds, and especially Labradors, who can suffer from many joint problems in life. It also contains omega oils for healthy brain development, as well as other fatty acids known to promote healthy skin and coat. It's a highly popular brand and the reviews from current users are glowing, both on Amazon and on popular forums. 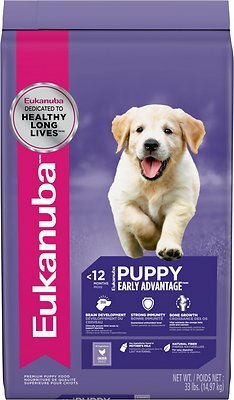 So Eukanuba large breed puppy food comes recommended. Hills Science Diet is known for containing high-quality ingredients, though it must be said they aren’t as quality as our first three recommendations. However, this particular dry food is complete and balanced, providing 100 percent of all your pup's essential nutrients in just the right mix and quantities. It will boost your dog's immune system and ensure healthy bone development because of the correct levels of calcium in it. The fiber in it will help with digestion while it has antioxidants that are known to help keep your dog healthy for many years to come. Although not the best food we have listed here, for those who simply must be cost conscious, you can feed your puppy this, they will thrive and you can feel confident you’ve provided them with all the nutrients they need. Royal Canin is a very well-known brand with lots of positive reviews from past and present dog owners on Amazon. Not famed for the highest quality ingredients, but never the less it's one of the healthier options for your pet. It has an above average protein content than the minimum recommended for your dog, coming in at 31 percent protein at dry weight. According to dogfoodadvisor.com, this food contains 31% protein, 13% fat and an estimated majority of this food being made up of carbohydrates at 45%. After chicken by-product meal, the second ingredient in this food is brewers rice. Brewers rice is again a by-product, this time from the brewing industry and it’s only rated as 'modest' in terms of how important it is to your canine's health. The fourth ingredient is corn gluten meal which is a residue left over once most of the useful, starchy carbohydrates have been washed out of it. In it’s defense, despite seemingly low quality ingredients, Royal Canin puppy does have a high protein content, contains fish oils to provide omega oils, and prebitotics for digestive health, plus a whole assortment of natural additives, extracts and essential trace elements. With such popularity, high ratings and reviews with so many people saying their dogs thrive on this, there must be some truth to it. So we're happy to say it's worthy of trialling, though personally we would go for one of the more premium brands above. 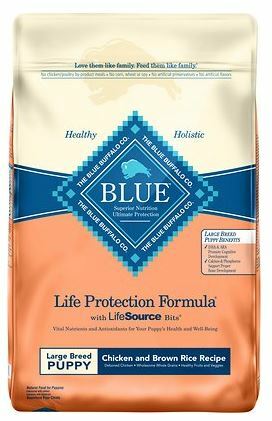 First off, Blue Buffalo Large Breed Puppy Dry Food gives pups a significant amount of protein, with the first two ingredients being deboned chicken and chicken meal. The third to 5th ingredients are wholesome whole grains that provide high energy from complex carbohydrates that are easy to digest. These are far better than corn and most other sources of carbs found in cheaper foods that are hard for a puppy to get any nutrition from. Out of everything in this product, 40 percent of it is protein, which is higher than average. About 14 percent of it is fat, and of the remainder, 38 percent is carbs. The flax-seed in this product is rich in omega-3 and 6 fatty acids and fiber, both of which are important to your pup's health including his digestion. And the omega oils may help reduce risk of developing arthritis. A growing puppy has very specific dietary needs that must be met if they're going to thrive, needs that are different to an adult dog and that cannot be met by feeding them the same food as adult dogs. Not only this, but Labradors are a large breed and are more sensitive to nutritional imbalances than smaller breeds. You really do need to get their diet right to do the best for them. Luckily, many brands of food specifically aimed at large breeds and Labradors have been created that provide everything they need in just the right amounts, that are easy for an owner to feed by simply following instructions on the packet. 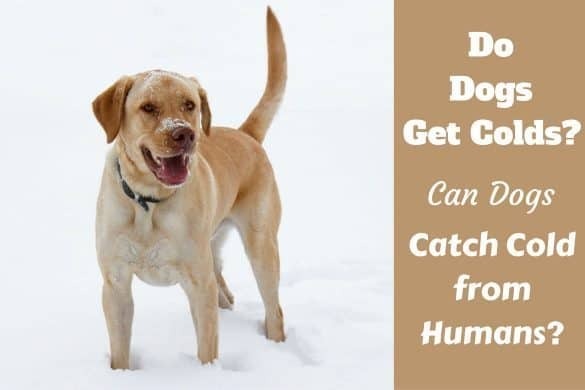 I know there is a lot of conflicting advice out there when it comes to dog food and it can be a nightmare to wade through if trying to find the best puppy food for Labs. So hopefully this article has been of some use to you. Special thanks goes to DogFoodAdvisor.com from whom we sourced the information on ingredients and percentages for proteins, fats and carbs. A very good resource that does good work for dog food quality awareness. Check them out! Im using Mother baby starter pack of royal canine for medium breeds for my 3 mnth old labrador. Is it fine. The products u mentioned are not available in india.can u give other options? There are so many types available, I only know the smallest number. The best resource I know of…very informative and detailed…is http://www.dogfoodadvisor.com/ Please take a look there to learn the quality and suitability of any food you are considering. I hope that helps! any recommendations for adult Labrador dog dry kibbles? A suggestion for your research into this topic that you can verify. Many pet foods are made by the same manufacturer, only sold under different label. Much like we see with so many human products. For example, Proctor & Gamble makes Tide detergent but they use the same detergent to sell under other labels. More specifically, with dog foods, Blue Buffalo is owned by Schell and Kampeter and made by Diamond Pet. 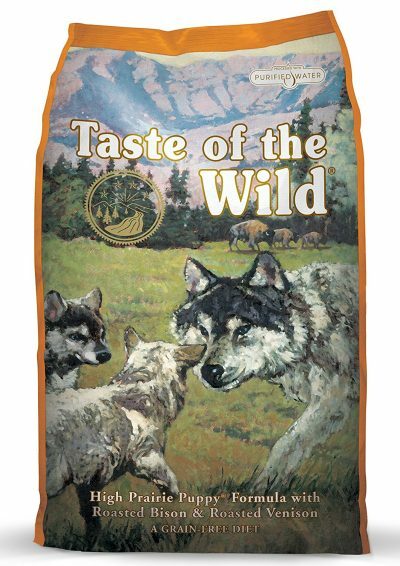 Taste of the wild is a Diamond Pet brand name. Costco’s Kirkland brand dry foods are also made by Diamond Pet, all in the same factories using the same ingredients. I learned this several years while working at the Diamond Pet plant in Lathrop California. When I inquired to the difference between all of them, I was told “the Bag”. When orders for one are met the packaging line shuts down so workers can switch bags to fill the others. When I asked my Vet if she knew about this, she did some research and confirmed it. I made the switch to the Kirkland brand for my lab and instead of paying $55 a bag I now pay $24 for the same product in the same size. Sure, I’ve read similar to what you’re saying and can quite believe it’s possible. It’s something my girlfriend nags me about with human foods all the time when I ‘go for the labels’ and she buys a stores own brand! (She spends less than me, that’s for sure, haha) So there’s money can be saved if you’re willing to do the research. Thing is, there’s so many hundreds (thousands?) of brands, advocates and opponents of each, some who get so passionate they get quite angry and verbally dump on people they perceive to be mistreating their dogs for ‘feeding brand xxxxx!’ (where xxxxx could be any brand!) And whatever theory one chances upon or brand one chooses, there are always multiple people ready to shoot down that theory or choice. The whole ‘dog food debate’ is a minefield that usually just makes my head hurt. I think the best advice is to find a brand heavily recommended by others who anecdotally say their dogs thrive on it, then see if it holds true for your dog. Go by the weight of huge numbers thinking all these people can’t be wrong. 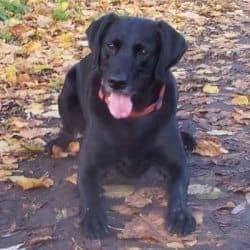 So I listed here the one I feed and a few others that are very popular with other lab owners and ‘dog food review sites’; brands that come with almost universally great feedback, brands popular in the wider Labrador community, and hence have the highest chance of being good for your dog. Of course, ‘one mans meat is another mans poison’ and one dog may thrive on a brand while another suffers constant digestive upset on the same. But the ones I’ve picked are some of the most recommended. Thanks is advance for your help. I have been feeding my lab pub (12 weeks old) the Wellness core from the 8th Week on wards. He liked the food very much and he used to finish the entire bowl in 5 mins. All of a sudden, one fine morning ( 3 days back) he decided not to eat. He didnt even bother to touch it. I was little worried. But slowly after a long 3 hours, he finished the bowl. He finishes his bowl after a very long time since he has no other option. Any suggestion ? I even tried with a new bag of wellness core. Should I change to different brand ? It’s quite rare for a puppy to just randomly turn their nose up at food like this without good reason, though not unknown! Some do develop preferences but if it’s all he’s been fed since 8 weeks and is the only food he knows, then it’s unlikely…though it cannot be ruled out. I’d say the first thing you should do is consult your vet to make sure there isn’t a medical issue. He may have swallowed something causing a blockage, perhaps have an allergy – to something in the food or something else in his environment – that’s putting him off his food. There could be other medical issue putting him off food. Hopefully all this can be ruled out by your vet, and then you can try changing brands, but you really do need to rule these things out first. It also sounds as if you are almost ‘free feeding’, putting the food down and allowing your puppy to eat when they are ready. Instead, put the food bowl down at EXACTLY the same times each day, and only leave it down for 15 minutes before taking it completely away. If he hasn’t eaten his food in this time, he goes without until next meal time. He will soon get the idea that meal times are for eating, and if he doesn’t eat he will go without. This works a high percentage of the time to get a puppy to eat. But if your puppy goes more than 48 hours without eating doing this, there is very likely something wrong! Thanks Mark ! Usually he finishes his bowl in 5 minutes and we take the bowl off. For the last four days, he decided not to to touch his food but he loves the treat.. So we were little worried. But he was very active though. Hence I decided to leave the bowl outside … He finished the bowl in 3 hours. Then we started to mix his dry food with little Yogurt… The first time he finished in 5 minutes… But the second time he didn’t show any interest. So yesterday evening we took him to the Vet. He tested his stools and his health and confirmed he is doing excellent. He asked us to mix some wet food with the dry food or change the brand. So this morning I mixed Wellness Core Puppy formula wet food (1/4 th) with his normal dry food… He finished his bowl in 2 minutes :) … I have never heard a Lab puppy to be so picky about his food … I just want to update this to every one here. Thanks Mark & Mark for your suggestions. I really appreciate that. Well done for going to the vet, they will always give the best advice and at least you now know he is in tip top health and can put your mind at rest. Anyhow, many years ago we had a lurcher-x-terrier who wouldn’t touch dry food – no kibble or biscuits in any form – unless she was proper hungry and then would pick at it. We tried many brands. But she would wolf down any wet food, real meat, ‘human food’ or certain biscuits if we added beef gravy. We just decided to feed her on wet food eventually, even though we much prefer the convenience of kibble. Then we just had to stop our other dogs from stealing her food it! Anyway, I’m glad to know he’s well and yes, looks like you will have to experiment to find a food and flavor he will happily eat. 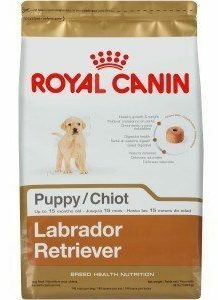 I have a 4 month Labrador till now I was giving him Royal Canin Puppy Maxi,but I think that it’s not worth it’s money. So after a research I have order Naturea Naturals Puppy 12kg (57euro with Vat).The Dry foods that you mention in your article are not exist here in Greece. Below the link of the food to tell me your opinion.thanks in advance. On the face of it, it looks good to me. The ingredients look good, fresh deboned chicken as the highest ingredient, chicken meal second giving high protein content, some good vegetable matter included for fiber, trace vitamins and minerals. Glucosamine and chondroitin are good for soft tissue such development such as cartilage growth…and so on. So from the little info given I would be happy to feed it to my puppy, it seems quality, complete and nutritionally balanced. However, I will have to add the caveat that I really am no expert when it comes to dog food. So me saying yes / no doesn’t carry much weight I’m afraid. Above I have recommended what I feed, plus what many other sites and ‘people in the know’ have recommended. There’s so much information to learn on dog food ingredients that it would be a 1 year full time course to understand it all (no kidding!). I just googled about it, seems to have very good ingredients and great feedback from owners saying their dogs thrive on it. Definitely worth putting on the short list. You should not be getting a puppy at 4 weeks old, they need to remain with their mother and littermates until 8 weeks old. The mother takes better care of the puppy than any human could in those first weeks, and the mother and littermates teach a puppy a hell of a lot in that time about how to be a dog, how to accept discipline, acceptable and unacceptable play and behavior around other dogs – and more besides. 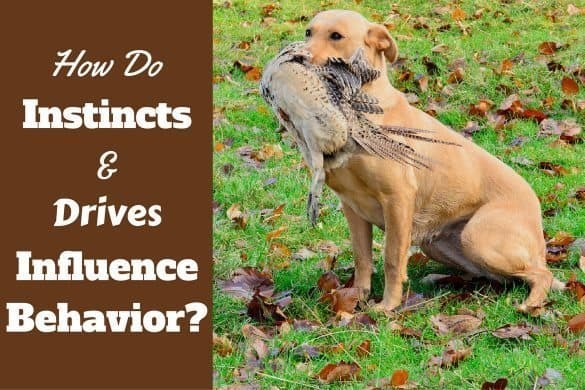 These are lessons you will find it very hard to recreate yourself and can really throw out a puppies start in life and lead to behavior problems. So please – ask the breeder to keep your puppy with mum until 8 weeks old! Hi Mark…..I have heard about the 8 week stay with the pups. I’ve spoken the owners vet and mine and told that if they are eating solid foods and drinking water the could go at 4 weeks…her pups are growing faster than normal and has gotten the ok to let them go at 4 weeks….however I wanted to follow your suggestion on the food you recommend and wondered if purina is a good choice. ..or if I should change it…. Please don’t take offense, but that is quite simply wrong. No way is it ever right to take a puppy from their mother at 4 weeks old, and if a vet or breeder has suggested this then I suggest you find a different vet and breeder. Only in extreme cases – such as complete rejection by or death of the mother – should a puppy be separated from mother at 4 weeks. I don’t know what country you are in, and views do differ in different cultures (in India it’s generally accepted to take puppys younger than 8 weeks) but it has absolutely been proven that 7 weeks is the absolute earliest a puppy should leave their mother unless orphaned. Leaving earlier greatly increases chances of many developmental and behavioral issues. Please reconsider this decision and do all you can to leave puppy with mother until the right time – 8 weeks old. To answer your question regarding feeding purina, it’s hard for me to say as caring for a 4 week old puppy needs very specialist care. Puppy’s start to ween at 3 to 4 weeks old, but do not finish until 6 to 7 weeks. So feeding solid puppy food only at 4 weeks could lead to all sorts of problems, if in fact puppy continues to eat it at all. Caring for a 4 week old puppy without mother is beyond me and I’m not comfortable giving advice on such matters, all I can do is answer as if it’s an 8 week old puppy. In which case I would carry on feeding purina if that’s what the breeder has been feeding. Carry on until your puppy is settled in and then follow the advice in the article I have linked to above if you wish to change foods. There are arguments for both sides – with a dry food you can soak for easy chewing or leave hard for crunching as their teeth develop.I have little puppy in my home..it is very cute.Thanks for sharing. Was wondering what you think about Natural Balance large breed puppy food for labs? 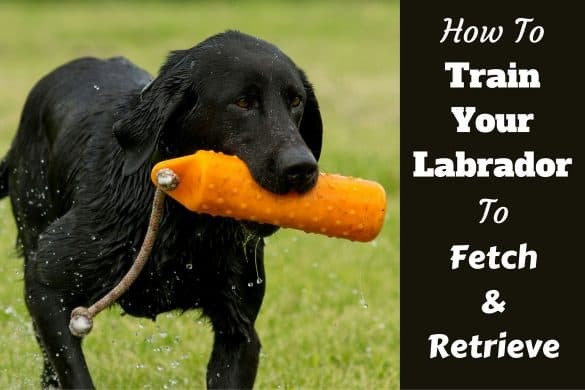 12 to 18 months is the usual switching time for labs, but depends on a few factors with the growth plates of your puppy having become fully closed being the most often stated time. This is hard to judge without x-ray though, and so as with most things, your vet’s advice is the best guide and you can bring it up with them during routine visits you make, they will happily advise. I feed my 7 months old labster Arden Grange Large breed junior. I add warm chicken broth to it. Wait for the food to soften up. then mash it up and add boneless, boiled shredded chicken. I also ensure he eats one fruit a day, like an apple or pear. I wanted to know what else can I add to his diet to keep him healthy? P.S. We take him for a long walk in the morning for an hour and in the evening, another long walk for half an hour. Apart from that, we give him two shorter walks during the day. And play a lot in the house. I am having major issues with my pup. I have been feeding her Blue Life Protection puppy food and at first this was fine, but then she started getting horrible diarrhea (which I assumed was something she ate/got into). I put her on the bland diet for a few days and her stool firmed up. As I began weaning her back to the food her stool softened up a bit. So, I have continued to add a bit of pumpkin and it seems to help. Since it firmed up so well with the bland diet I am not sure if it would be a parasite or other internal issue, but she seemed to be fine with the food initially, so I am not sure it’s that, but that seems more likely than the other since it softens as I begin to feed her just puppy food. Do you have any recommendations?? Thank you so much for all of your information! Your website has been immensely helpful with my now 4 month old chocolate lab. In the past I switched his food to the wellness core puppy formula that you suggested and since then, his weight has taken off and the vet says he looks great! I have a picky puppy though and almost everyday he’ll go without a meal when I pick up the food after 15-20 minutes during his feeding times (I found that he much rather play than eat). I’m considering switching the times of his feeding routine to see if that helps in any way. If you have any recommendations, I’d be happy to hear it! Aside from the last question which was completely unintentional and probably a product of being an excited puppy owner, I was wondering if you have any advice on a junior puppy formula? Or if a junior formula provides any additional benefit at all? Thanks! Just wondering what you think of the cornmeal listed in Eukanuba’s large puppy breed ingredients? I have read that cornmeal is something to avoid for Lab puppies – but this brand is recommended and seems to have a lot of great things for a lab. Would love your opinion. Thanks! Eukanaba is 4th on the list so there are other food brands that rate higher for quality and choice. Corn is a grain and has some nutrient value. If you are not comfortable giving the food to your pup, you should opt for one of the other brands. This list isn’t totally right. Too much of any dairy products aren’t good for anyone including Fido. Humans are the only animals that drink milk after infancy. Milk is not made for the human body or a dogs body. All babies are weaned from moms milk. The beef they showed was a very fatty cut of meat. If fatty meat isn’t good for people, why is it good for your dog. I learned these several years while working at the Diamond Pet plant in Lathrop California. When I inquired to the difference between all of them, I was told “the Bag”. When orders for one are met the packaging line shuts down so workers can switch bags to fill the others. When I asked my Vet if she knew about this, she did some research and confirmed it. I made the switch to the Kirkland brand for my lab and instead of paying $55 a bag I now pay $24 for the same product in the same size. 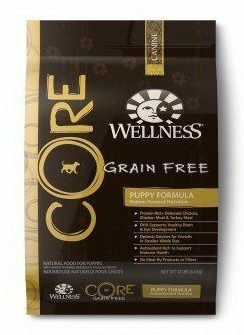 Your first recommendation is for Wellness Core Dog food, but your picture is of Wellness Core Puppy food. The analysis you give is actually Wellness Core original dog food, not puppy food. Why do you recommend the dog food over the puppy food? I was wondering the same thing, Tracey. I feel the need to share some of what I’ve learned over the last 30+ years raising over 1000 animals and working closely with a holistic veterinarian who specializes in animal nutrition..
*Proteins are the basic building blocks of the body and contribute to healthy muscle development. Growing pups need more protein than adult dogs. On the flip side, too much protein can be detrimental to healthy growth and result in an imbalance of calcium and phosphorus which can negatively affect bone and joint development. *The Calcium:Phohphorus ratios in your pup’s diet should be between 1:1 and 1:3. Large breed pups eating balanced diets containing recommended amounts of calcium should NOT be given calcium supplements. Calcium is needed for strong bones, but is harmful in excess. Pups cannot adequately regulate how much dietary calcium they absorb from the intestinal tract. Sometimes they absorb and retain too much calcium which can cause skeletal malformations. Excess calcium also causes deficiencies in other needed nutrients, like phosphorus. Calcium and phosphorus work together and a proper calcium to phosphorus ratio is important for healthy bones and joints. —> THIS is one of the most VITAL differences between regular adult dog food and proper nutrition for your large breed puppy. Fiber-Rich Carbs 20%-50% Potatoes, both sweet and regular; brown, jasmine, or white rice; peas; lentils; and oatmeal or barley in smaller amounts. Fat 5%-15% Poultry skin; rendered poultry fat from cooking; safflower, canola, or soybean oil; or ground flax seeds or flax oil. Vitamins & Minerals Vet-Recommended Dosage Consider a puppy supplement with plenty of calcium for your growing dog. Consult your veterinarian for recommended brands. Extras Your Discretion Some folks save treats like tinned tuna juice, chicken broth, bone broth , and other tasty morsels to include in their puppy’s food. Other extras may include parsley for fresher breath, fresh oreganto prevent yeast overggrowth, or probiotics to stimulate immunity. Always ALWAYS have open, honest, and frequent communication with your vet. I can’t stress enough the severity of the irreversable and potentially life threatening damages that result from long term feeding of a nutrient deficient diet, such as developmental orthopedic disease (DOD), and hip dysplasia and OCD (osteochondritis dessecans). I was extremely lucky growing up with more types of animals then Old McDonald, which gave me the opportunity to spend every second I could with our next door neighboror, who happpened to be a holistic veterinarian specializing in animal nutrition. I wish I could share all the invaluable knowledge I gained over those 20 years with everyone who is even thinking of being a pet owner. I learned (and saw first hand) the vital importance of feeding a breed specific & nutritionally complete diet every day of an animal’s life. With only the best of intentions, uneducated pet owners may think they are providing complete nutrition for their animals throughout their life, then sadly aren’t be aware of vitamin and/or mineral deficiencies until it’s too late. When it comes to proper nutrition and your pet’s health, my suggestion is, don’t guess… KNOW. Veterinarians don’t spend all those years in school for nothing. Find a vet that you feel has your pet’s best interest at heart just as much as you do, visit them regularly, and find out through medical testing EXACTLY what your pet’snutritional needs are. Don’t be afraid to ask them questions, as ignorant or silly as you think they may sound.. The only way we gain knowledge is by learning from those who know more about something than we do. Remember, your fur baby is depending on you to keep them safe, healthy and sgiving them the same unconditional love they show you. Educating yourself as much as possible about your pet’s specific nutrictional needs will help prevent . Still to this day, between vet visits I jot down random questions I have about my pups behavior, diet, training, etc as they come up, and take it with me to our next vet appointment. At first I felt like an annoying kid who constanly asks their parents ‘why’ after everything they say, but my vet is more than happy to answer every question I have, and says she wishes all her patient’s parents were so eager to learn how to properly care for their pets. Regarding commercial dog food, remember to look for a diet specifically made for LARGE BREED PUPPIES that carries the globally recognized AAFCO seal of approval. Verify that your pup’s food has been tested in feeding trials to ensure that there are no deficiencies or excesses. Formulating the proper diet is based on science, so invest in companies that invest in research conducted by board certified veterinary nutritionists.